The story of Foreword South began as so often collective action does – a conversation that lead to a calling. The three of us – a social worker, a policy analyst, and a communications strategist – only recently were thrust into the realities of doing “the work” in the trenches of Alabama’s capital city yet our experiences here were far from new. As two native Alabamians and a transplant from Georgia, we grew up fully aware of our birthplace’s deeply troubling history and the tensions that persisted even to this day. Over time, however, what we came to learn more about were the fighters – the unsung heroes whose stories were only freckled throughout our historical texts. Their stories had been lost and we decided the next generation of Southern change makers wouldn’t be. we will use the age-old tradition of storytelling to profile Southern visionaries, activists, designers, artists, and change-makers. Our aim is to paint a new picture of the Southern identity. Each foreword, simply an introduction but never the full story, will have one unifying theme: progress in the face of adversity. These are real southern stories of real southern people. This is Foreword South. Foreword South’s next chapter will come with some changes in content and platform, but our mission will stay the same. 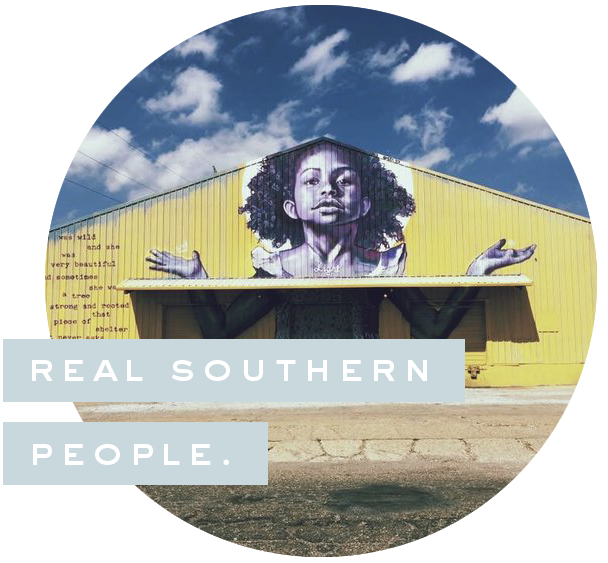 We tell untold stories to offer a perspective of the South that challenges the dominant narrative about who we are. Foreword South had the opportunity to attend a showing of Four Little Girls: Birmingham 1963, now playing at the Alabama Shakespeare Festival, and our conversation with Artistic Director, Rick Dildine, revealed how this masterpiece came together.